This last week, I had a Scentsy Party. It was a great excuse to make a whole bunch of fun Mexican themed recipes and get together with friends to eat them up! 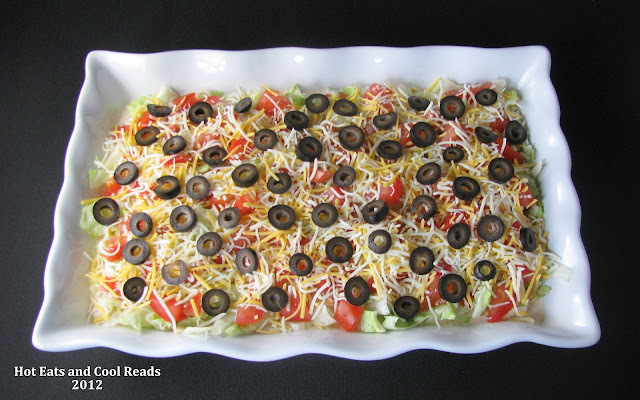 I just love taco dip! This recipe is so simple and you can mix up the cream cheese, sour cream and salsa mixture the night before to save some time. You could also add some cooled taco seasoned ground beef if you'd like meat in it. Black beans would be a great addition as well. So many possibilities and so yummy! In a large bowl, combine cream cheese, sour cream, salsa, cumin, chili powder and oregano with an electric mixer until smooth. Spread into a 9x13 glass pan. 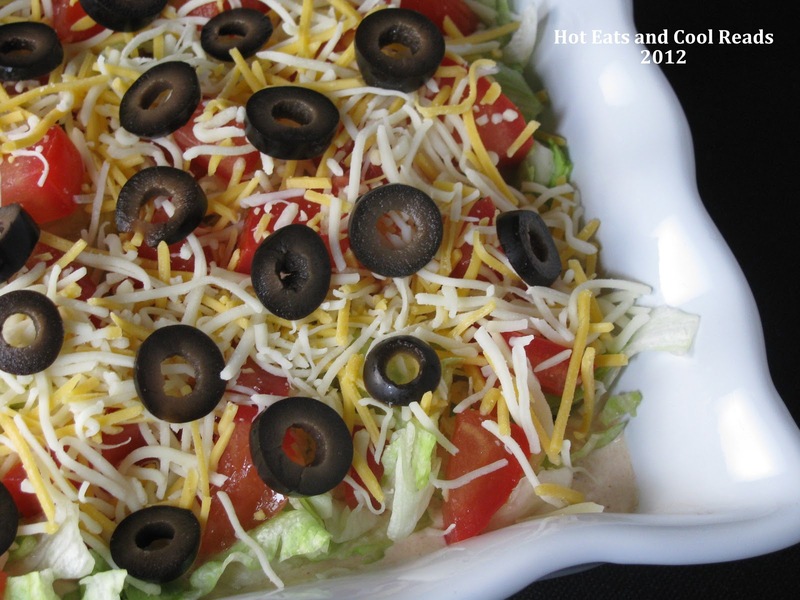 Cover with lettuce, tomatoes, cheese and black olives. Refrigerate until serving! Enjoy! Yummy! I love taco dip. I don't think I have ever added meat to mine though. I LOVE taco dip! Thanks for the recipe, can't wait to see what you link up next week at Scrumptious Sunday! Your welcome! Thanks so much for hosting!